I was recently asked if I had any literature to recommend about nutrition…. I have studied agriculture and nutrition for over six years. I use to weigh over 220 pounds. The more I understood and learned about the food industry and the products that they were tricking us to consume, the more healthier I became. I am now a permaculturist who teaches people about growing food naturally and the food industry. I can tell you the books that changed my views of our food industry and shaped the last 6 years of our lives. To understand nutrition, you have to understand food. To understand food you have to understand our food industry. Nutrition becomes easy, once you understand how to acquire your nutrients and minerals appropriately and effectively. As you read the following don’t be overwhelmed with the links of how the health of the population is directly related and correlated with the health of the soils where our food is grown. I do however warn, this information is like Pandora’ box, once opened, you can never go back to the way things were. Our food industry is complex yet simple when you are open to facts. I never take a single book as “The Bible” per say, but as I continually gain information each book brings information to light which helps me to truly begin an understanding of our food industry. One of the first books that got me going was, “Alchemy of Air”, by Thomas Hager. – this is a great account of how the chemical companies of wars who supply explosives and chemical warfare are now the same chemicals used for fertilizing and maintaining (pesticides and herbicides) our food crops. Understanding the history is a great place to start and this author knows how to make the facts into an interesting and intriguing story line! By no means a normal history book or story, Hager writes in a way leaving you wanting to know what happens next! The next book I would recommend reading is the first section of “Secrets of the Soil”. The first part is a great account of how our agriculture industry began and how and why chemicals were integrated within. It has great references to back up the facts. The remainder of the book is theories, recipes and information about biodynamics. Although a great reference to utilize in your own garden, the beginning has some of the best history of agriculture I have found. 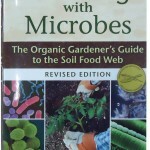 Next is another book that really helped me get started in growing my own food and truly understanding nutrition. “Teaming with Microbes” written by an MD, ND, and a natural farmer. These guys effectively tell how to go from a chemical gardening system to a natural gardening system. All throughout the book they are continually answering scientifically how to raise your food crops usitilizing the same principles as nature. Microbes! They also are great at explaining why, with great pictures. Their first edition of the book is kinda scary looking with pictures of bacteria under a microscope! Don’t let this fool you, the information inside is priceless and that copy is cheaper because of the cover! “Mycelium Running” is about our past ways of food growing, also present, and how to cultivate and utilize microbes and fungi to create beautiful food forest and use as a bioremediation for lands that need rejuvenating. You should have an understanding of gardening or have a great interest in microbes, microbiology or fungus to really find this interesting. 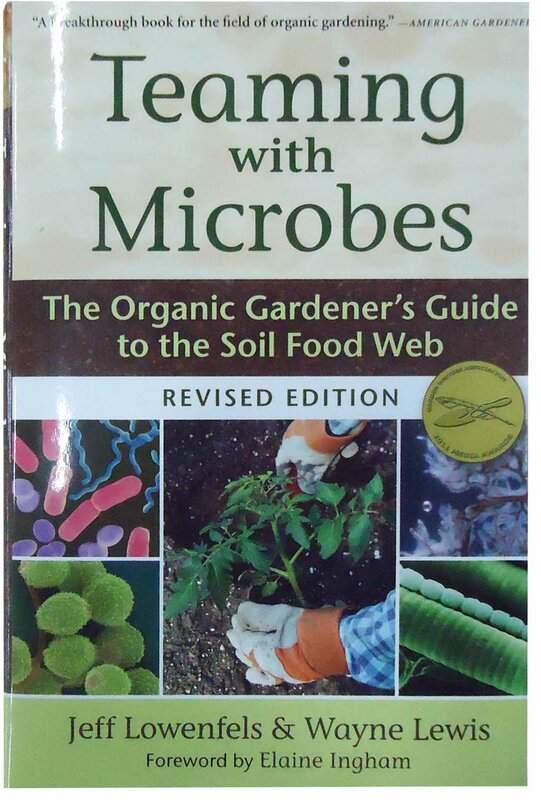 But once you have the background in the lil creatures that make our world fertile and habitable, this book becomes a gardeners favorite reference and idea generator! And one more to throw in the pile, “Gaia’s Garden”, my personal favorite, but you have to understand the history and importance of growing food before this one becomes interesting. Great pictures, great explanations, great references and great research. Laura Rieber holds a BS in Agriculture with a focus on sustainability from the University of Hawaii, several certificates in agriculture business development and is a master gardener. The moment she realized the corporate lies that feed the world was the moment she was inspired to write about the truth about natural agriculture. 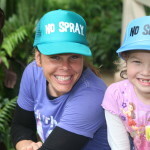 She co-created No Spray Hawaii with her partner, Jesse Fujimoto to help others gain awareness. 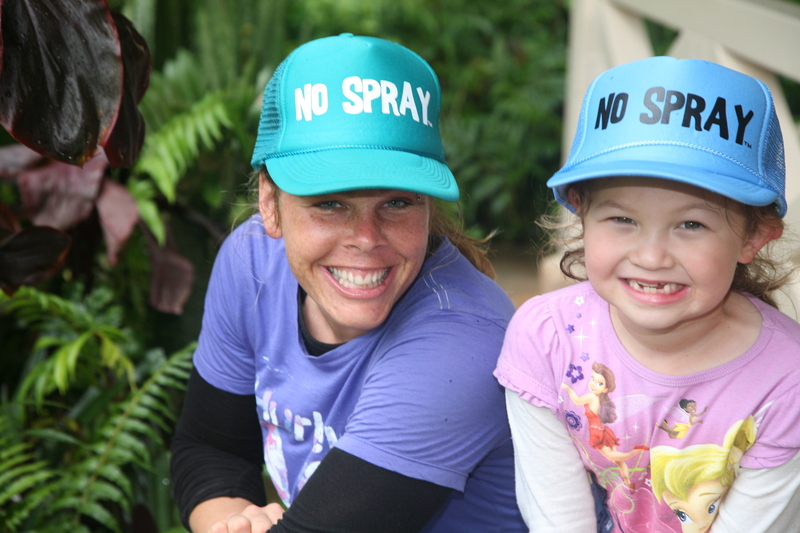 She teaches natural agriculture principles on the Big Island of Hawaii. CONTACT to learn more!